Creating a wardrobe that reflects your authentic personal style and provides you with the confidence to look and feel your best. A style consultation takes place in the comfort of your home to help you get the most out of your clothes. Together we review your wardrobe to see what items work for you and give you fresh ideas on how to wear them. Your lifestyle, shape and tastes are taken into account to pull together outfits that you will enjoy wearing and will flatter you. I will follow up with a list of suggested outfit combinations that you have for future reference. 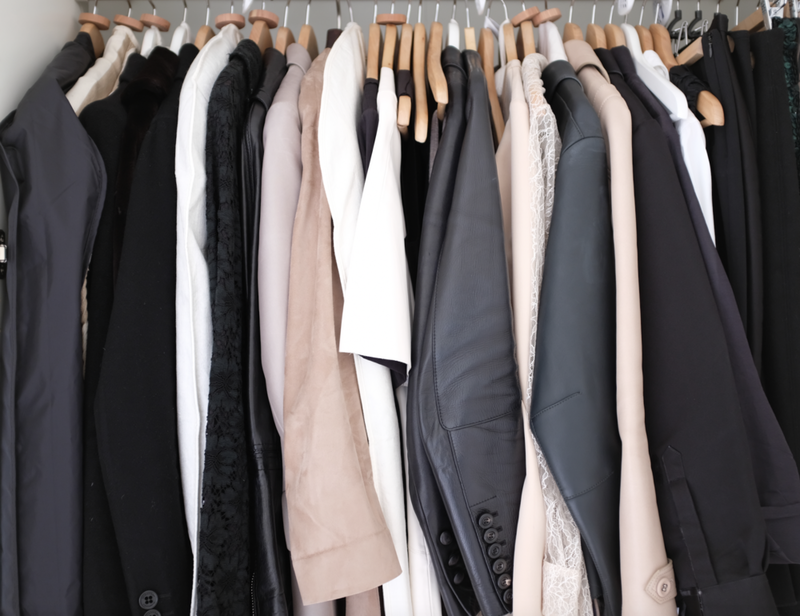 During the initial consultation, I will help you to de-clutter and edit your wardrobe, as well as identify key pieces that are missing, which will help bring outfits together. I will also share tips on how to give your favourite garments a new lease of life and how to store your clothes so they always look their best. At the end of the appointment a list of clothing items will be prepared for future shopping trips, whether with me or for you to source on your own. 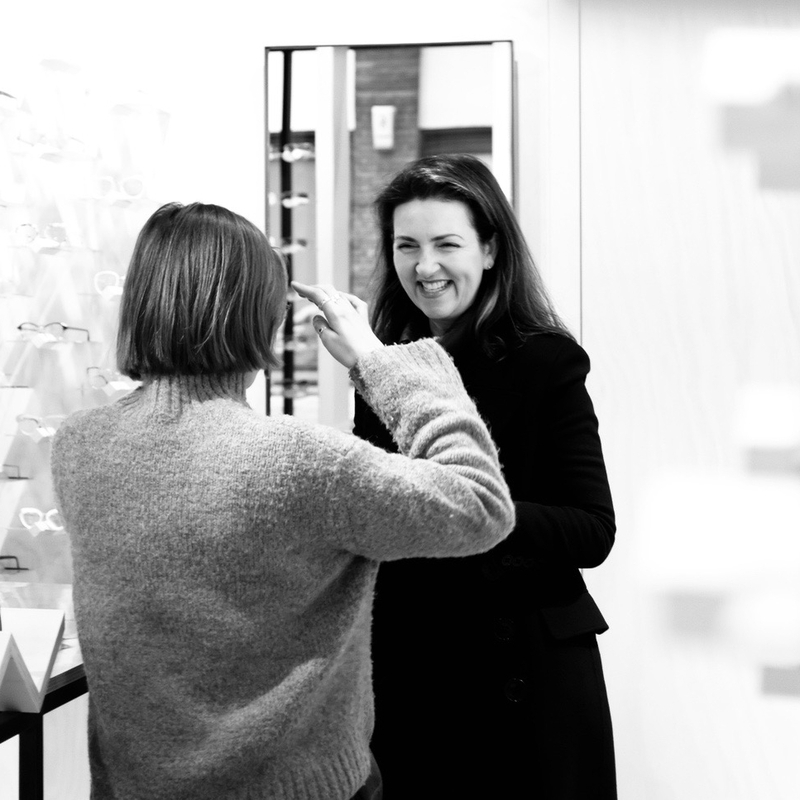 “As a busy professional woman, I found Christina’s help in re-thinking, organising and choosing my wardrobe invaluable. Not only does she have tremendous flair for ‘spotting’ the right garments and accessories, she is able to bring them together giving me a coherent look that is contemporary, comfortable and yet entirely appropriate to a professional setting. 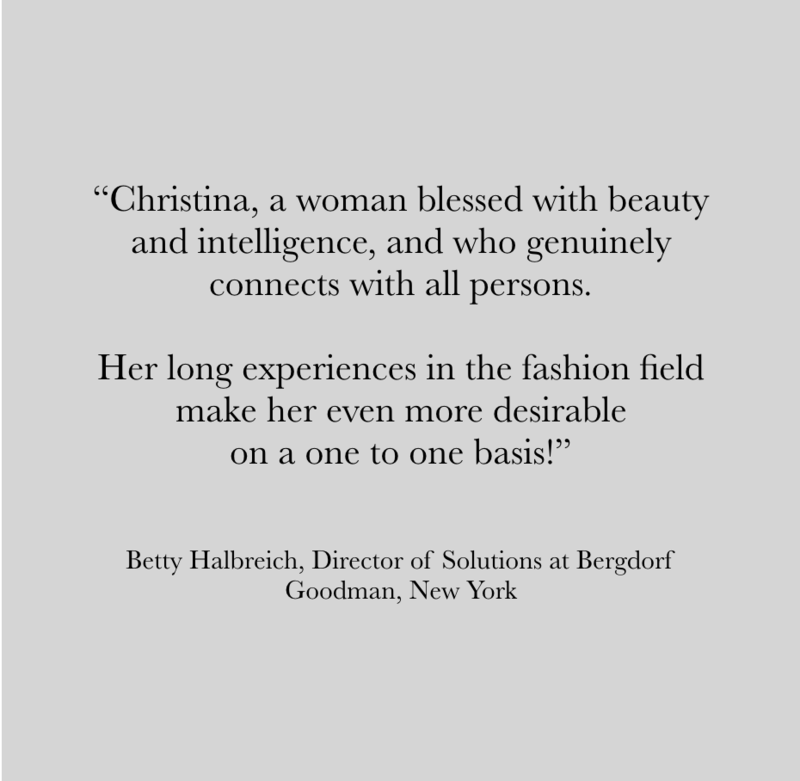 I have also hugely valued Christina’s approach which is a rare combination of positivity, good humour and efficiency. I cannot recommend her enough."